It is Thanksgiving, again. My smile is a weapon cutting off access to my grief-treasure. Or perhaps my smile is a slash given me by the gods of loss, always careless with their powers, when my mother died the Sunday after Thanksgiving. Her smile was a whole language: it made her a child, impish, until near the end, when it made her uncertain, afraid, vulnerable. Something small and furry you want to pick up out of the snow, cradle, help to survive. My smile has survived – big-toothed, upper lip drawn high enough to expose my gums – because my sister cradled me, my old loves did, my new loves hold me still. All with their arms stretched out to me – me, insignificant as grass. Isn’t this what the holidays remind us to do? Run towards each other, with food. Bring what can be brought in out of the cold, and scrape away the snow from the not-yet-dead grass so the horses and deer can eat. This is something else my mother taught me: grass is not insignificant. It is Thanksgiving, again. I am traveling to see my sister’s horses, two of whom, in their twenties now, belonged to our mother. Maybe this year I will catch my face in a mirror and my smile will be a butterfly, a warm loaf of bread. In the barn I will pull carrots out of my pockets and hold them flat on my palms. Sweet horse breath will warm my fingers as the old ones feast. Katherine Riegel is the author of two books of poetry, What the Mouth Was Made For andCastaway. Her poems and essays have appeared in journals including Brevity, Crazyhorse, and The Rumpus. She is co-founder and poetry editor of Sweet: A Literary Confection, and teaches at the University of South Florida. Visit her at katherineriegel.com. Lovely. Lovely to read this on Thanksgiving morning. Katie! What a perfect curled-up-in-bed-after-a-lovely-day-with-loved-ones read. Reblogged this on czoghb's Blog. Beautiful – love the smell and the warmth! Another Thanksgiving post–this one from last year. 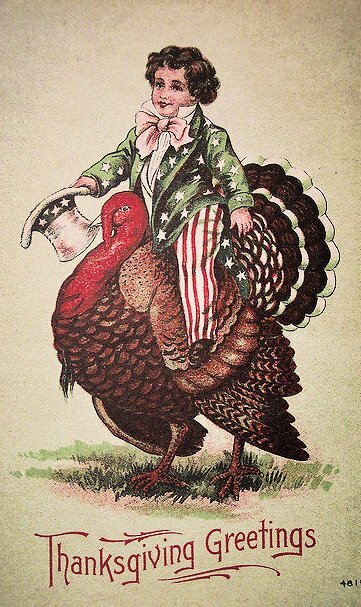 Happy Thanksgiving, all. « How Are You Ever Going to Learn? You are currently reading Run Towards Each Other by Katherine Riegel at BREVITY's Nonfiction Blog.